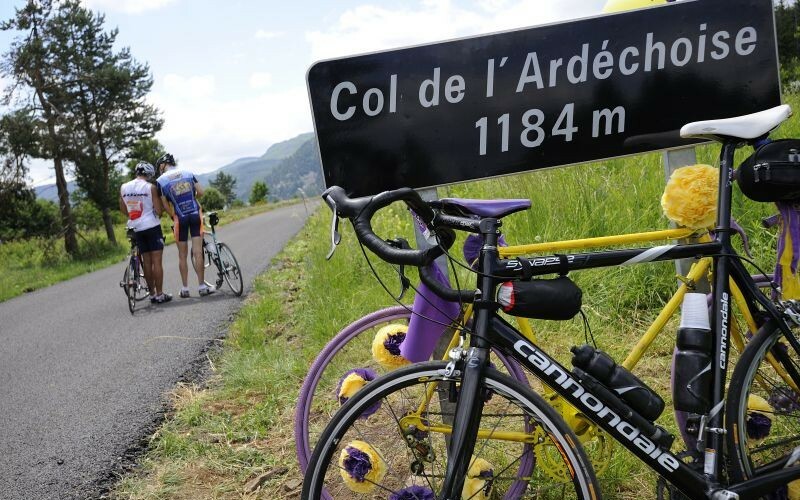 A major date for all amateur cyclists, the Ardéchoise takes the most beautiful roads around the gorges and volcanos of the Ardèche region. Every year, some 15,000 cyclists discover the mountain roads and passes over between 1 and 4 days. Over the past 25 years, the Ardéchoise has become the largest European cycling event over mountain roads. If you opt for the Ardéchoise over several days, you will need a quiet, restful place to recuperate between the stages. Every year, the route passes close to Mas de Baume. Our hotel is an ideal base for trying out the passes of southern Ardèche, to ensure your best form for the big day. Are you looking for quality accommodation to recuperate between two stages of the Ardéchoise? Our 3-star hotel is accustomed to hosting cyclists. A generous breakfast is provided in the morning before you set out and the pool will help you to relax after all your efforts: everything is provided so that you can discover Ardèche on your bike in the best possible conditions. If race conditions are not your favourite, or if you are not free mid-June, we are open from April until October… you can cycle the Ardèche throughout the season!